Although the term Pet Friendly Winery is often used, most often it really means a Dog-Friendly Winery. Just because a facility is a Pet Friendly Winery, doesn't mean your pet alligator is going to be welcome. Many Wineries are Pet Friendly assuming of course that the pet is friendly and well behaved. No one working at the Winery or visiting it wants to be accosted by an ill-mannered pet. If you are visiting a Dog Friendly Winery, make sure that your dog is comfortable in situations with lots of strangers and assume that there will be other dogs there as well. Some Wineries are not considered Pet Friendly but what that really means is that they are not "guest" pet friendly. 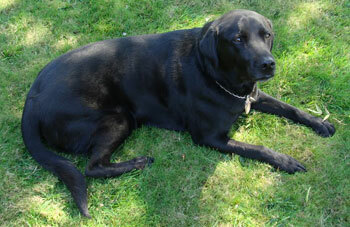 Many Wineries have dogs or and are not prepared to handle additional animals. Winery-Sage.com considers an establishment to be a Dog Friendly Winery (or Pet Friendly Winery for you cat lovers) if guest pets are allowed. For a list of Pet Friendly Wineries, click on the button below.